The unique name of the service. 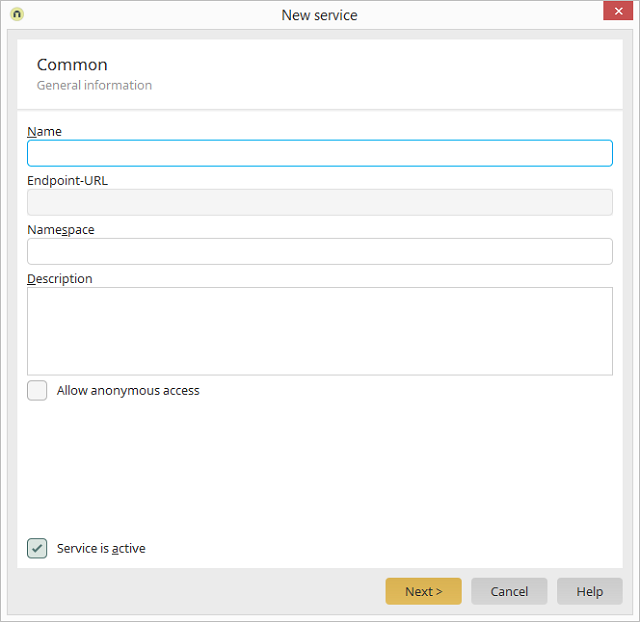 Since this is part of the service endpoint URL, no special characters or spaces may be used. Specifies the namespace to be used, which will be assigned to the OData collections and types in the metadata document. The name may not contain spaces or special characters. Free text for a purely informative description of the service. Specifies whether the service is enabled for access.